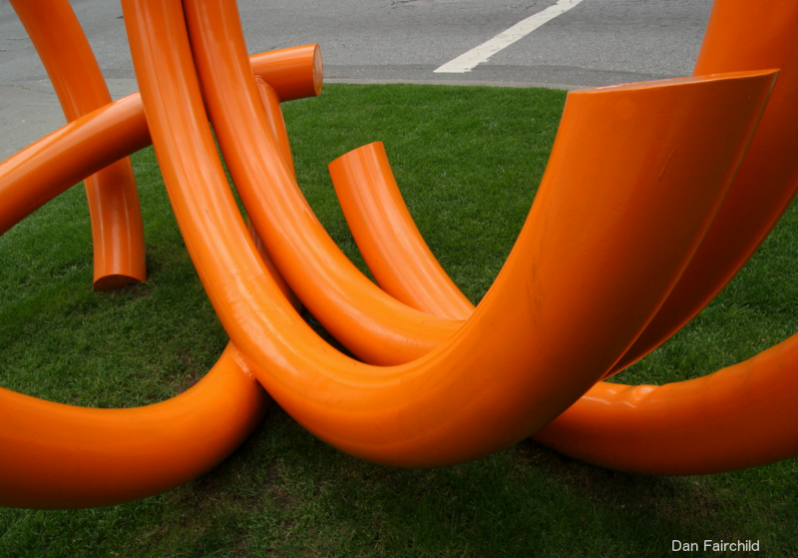 Jasper is a whimsical sculpture by Brooklyn-based artist John Clement. 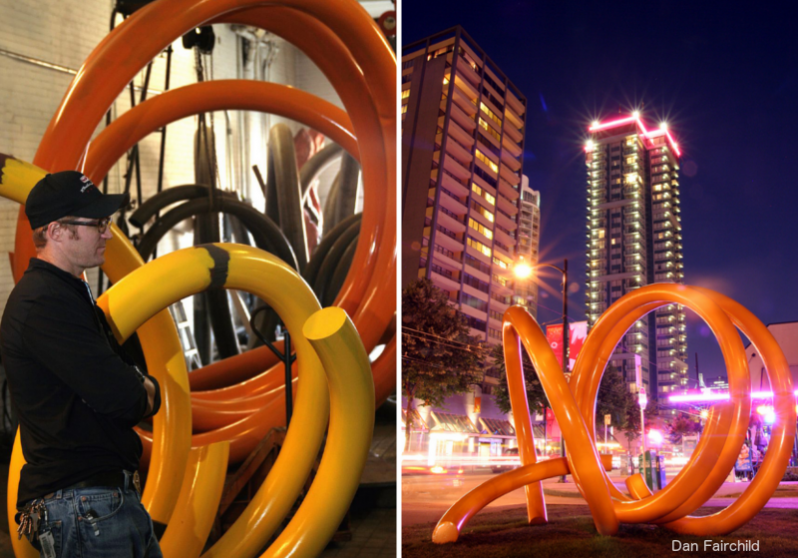 His trademark steel spirals with bold primary colours invite children to touch and play. 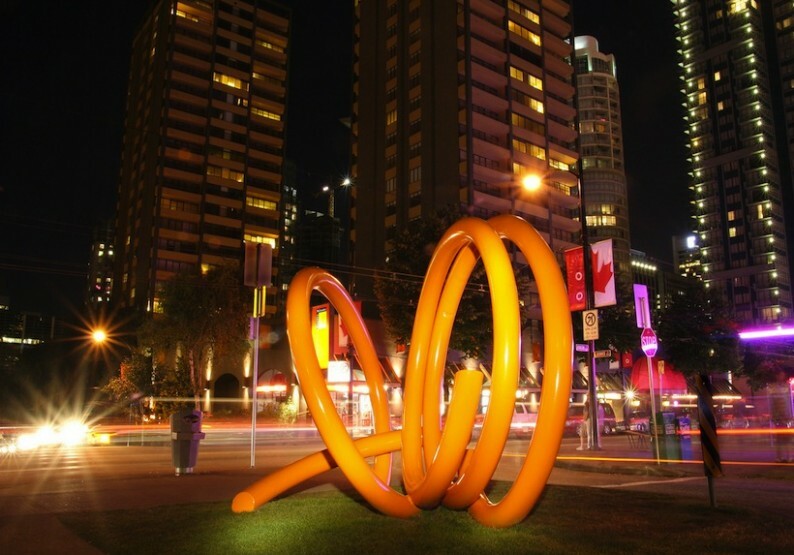 The turns and loops of Jasper challenge the inherent properties of rigid tubular steel and the result is an implied movement with the sense of twisting right out of the ground. 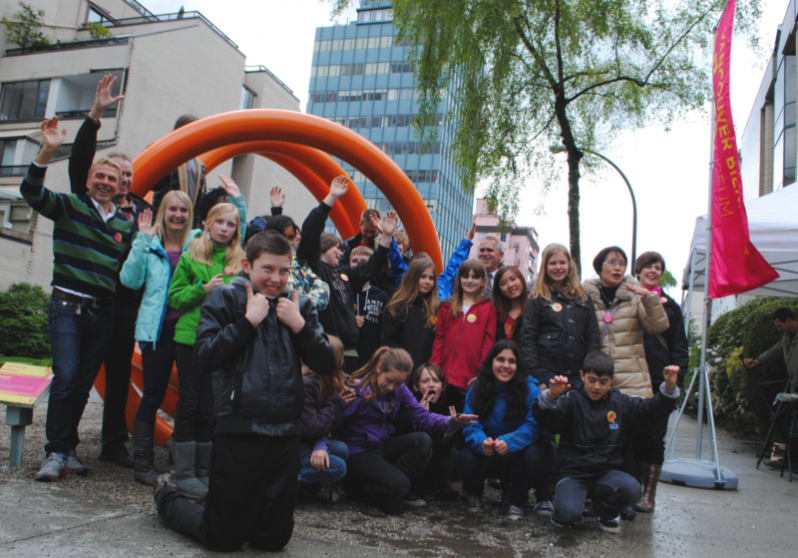 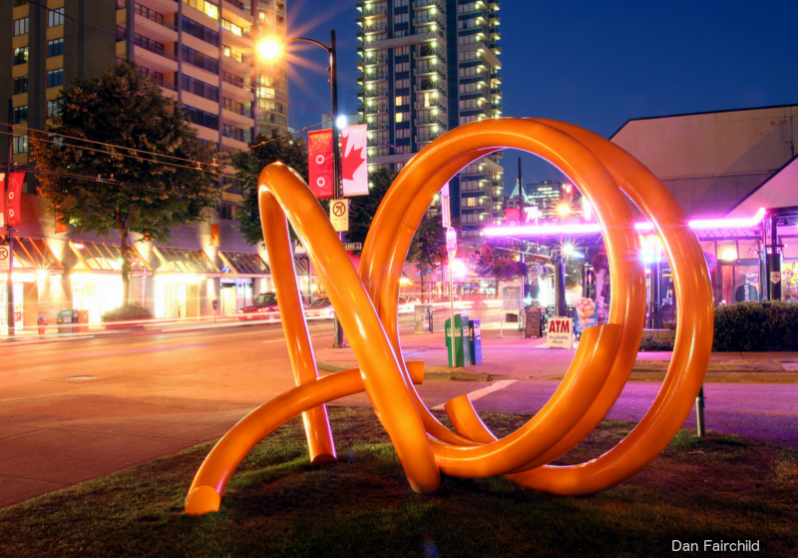 This sculpture is a Legacy piece from the 2005-2007 Vancouver Biennale.